i want to know its current price in rupees. Pls do not launch such cheap looking phones, work on ur looks. ive been using this x100 for last 2 months..n still im unable to get its datacable from pakistan..!!! Does anyone know how to remove the operator logo from X100 display. I am using x100 for last one month. the software is buggy (esp the phonebook). I cannot use downloaded sounds/ringtones for my alarm tone or to assign it to a group/conact in the phonebook. MIDI tones are not much louder. 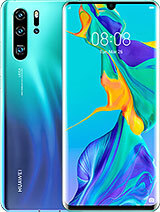 If there is new update of firmware/software available for this phone, please let me know. It's cheap and a very good phone for java games and huge memory for mms, ringtones,etc...nice 40 chord polyphonics. Does this suppport uploading ur own midis as ringtones? Total of 619 user reviews and opinions for Samsung X100.